I missed the supermoon back in December due to cloud cover and was disappointed that this was going to happen again with summer storms arriving in the late afternoon yesterday (as is so often the case for this time of the year). For someone who loves the Moon, this is a disheartening situation. 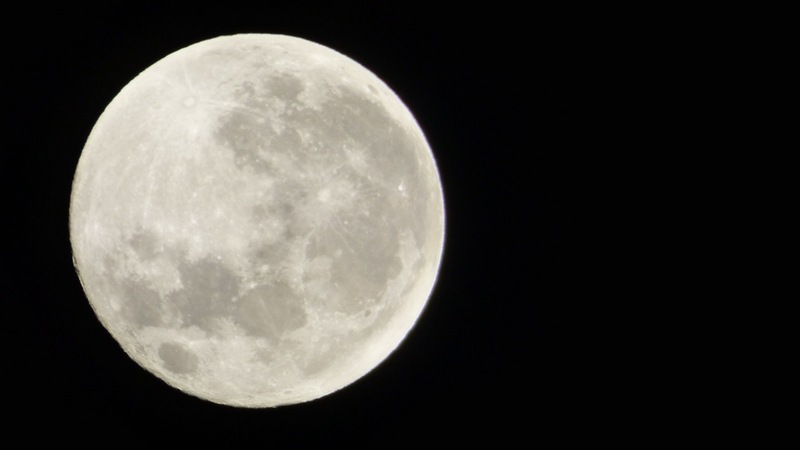 It’s not every month that the Moon is in perigee – the point in its orbit when it is nearest to the earth. Actually, this is the second of three sequential supermoons. The third will be on January 31, 2018, and I’m excited that January has it all. What makes January so special (or unusual) is that while the second full moon is a blue moon, during the moon’s path across the sky that night, there will also be a total lunar eclipse. I’m thrilled this will be visible from Australia. Wow! I can’t wait and as much as rain is always needed, I’m crossing my fingers for a clear night. Back to last night’s full Moon, known as the Wolf Moon in the northern hemisphere. Usually, during a supermoon, particularly when the skies are clear, the Moon shines so brightly and last night was no exception. Though I didn’t have the luxury of watching the Moon rise due to a summer storm rolling in, the clouds eventually cleared to reveal a big, beautiful, bright orb just past its zenith. So bright in fact, it woke me up doing the ‘Walk of Life’. You know. “Turning all the night time into day.” Thanx Dire Straits I’ll be singing that all day. I couldn’t help myself, so, as I’ve done many times in the past, I dragged myself out of bed, quietly lest I wake Dean, and tiptoed out the front door to stand there gazing up at the Moon. While mosquitoes buzzed around, I aimed my camera and clicked. And I still can’t believe my point-n-click camera can take such wonderful photos of the Moon. Technically though, I took this photo at 2:47 am on January 3 – 12 hours after the Moon reached perigee. But I don’t mind if you don’t. You’ll be pleased to know I managed to eradicate the world of one lousy blood-sucker, but I’ve an enormous welt on my forearm where it helped itself to some of my vital fluid. We sat in our hot tub up here in the US as it rose into view. Same moon. Different sky. I like that we both enjoyed it! It puts a smile on my face thinking of you enjoying the Moon as I do (minus the hot tub of course). They were calling it the Wolf moon on the news here, too. Why is that? It’s so weird to have three of them in a row, isn’t it… If I weren’t so superstitious! Ooo! Thanks! I’ll go check it out!